My oldest has his head on straight. Mikko at nine cannot be taken in by tomfoolery. "'The water sustains me,'" Mikko quotes. "What is that supposed to mean?" Well, I say, it could be twofold: Water gives life, and it also holds you as you float. It's maybe a song about letting go and letting the water support you. "I don't like floating," Mikko says. "I don't like that feeling of leaning back in the water." Well, I say, I'm not sure it's literal water. It's probably a metaphor for a general sense of peace. "And what does 'I'm done with my dying' even mean?" Mikko continues without digesting this. "Are you already dead so the water can't drown you? Are you, like, a zombie?" I think it's more of a poem, I say. It can mean whatever you want it to mean. Mikko scoffs. "This is why I hate poetry." Indeed, my love. We need practical thinkers like you in the world just as we need poets. How would we ever get anything done otherwise? This is the same child who told me tonight that he would value coal in his stocking because, and I quote, "I love natural resources." 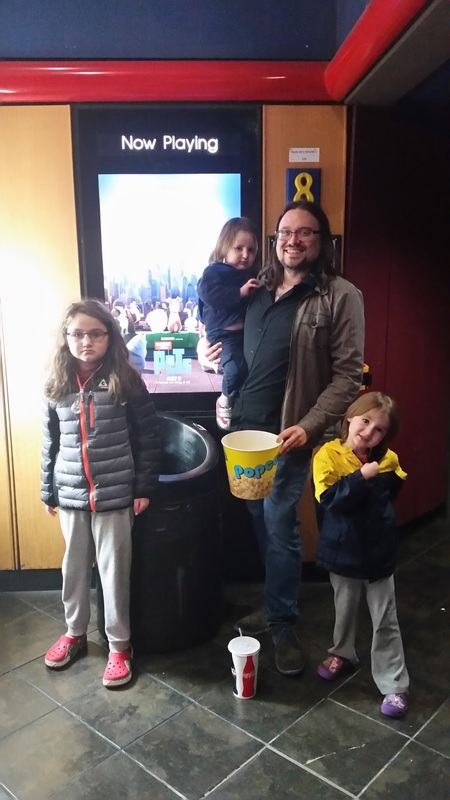 Meanwhile my 5-year-old mused aloud on our way to the cheapie theater to see The Secret Life of Pets: "I think animals made this movie. Because how could persons tell us what animals are thinking?" There was a pause, and then he added: "But how could animals buy a camera?" He does smile plenty, I promise. He just doesn't see the need to do it for photographs. He'd be right at home in the nineteenth century. And my 2-year-old has taken to yelling "Boo!" at us and saying, "Me goat!" I believe he means ghost, though perhaps he's just a frightening farm animal. So maybe Sam and I, writers and dreamers, have ended up with two whimsical and flighty children and one child who will bring us back to shore when we float too far out. Poetically speaking. Thank goodness someone's looking out for us. 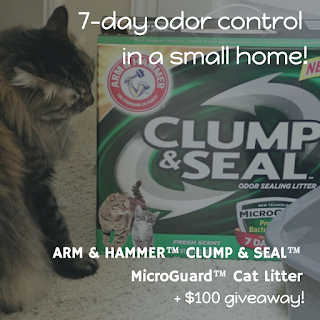 #ad As you're budgeting your holiday spending, be sure to enter my sponsored giveaway for $100 from ARM & HAMMER™ CLUMP & SEAL™ MicroGuard™ Cat Litter! Hahahaha! I have one of those pragmatic, literal types in my house too. He's a real killjoy sometimes. "Look what I made, Mama!" handing me a nice pile of playdoh. "Oh, it looks like an ice cream sundae!" "Um, no, Mom. It's playdoh." "Oh, okay." I can't get him to indulge in even the most slight flights of fancy. He'll probably be royally pissed off at me when he learns that Santa is not hard literal fact. SIGH. @Inder-ific: Ha ha ha about the play-doh! Totally the same conversation that would happen here!